Creme Brûlée is a favourite dessert of mine. As a child, we would often eat the similarly(ish) textured Creme Caramel to finish Sunday lunch...... the upturned creamy custard dripping with caramel sauce was always something to be anticipated. The discovery of Creme Brûlée however, took the experience of creamy desserts to a new level. So taken was I that it even graced the table at our wedding breakfast, in strawberry form. 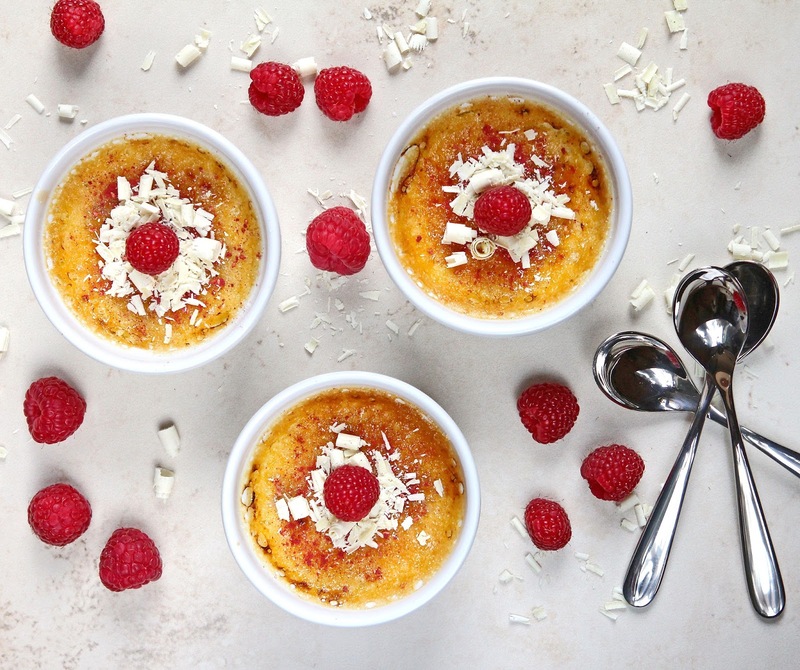 A good Creme Brûlée (which is effectively a baked custard) should be smooth and silky in texture and always topped with a subtle but definably crunchy caramelised sugar layer. This is added just before serving by sprinkling sugar on the custard and using either a culinary blow-torch or a carefully watched grill to caramelise. Miss GF particularly loves doing the caramelising..... I did wonder about the wisdom of giving an 11 year old a blow torch, but she is surprisingly adept at using it. As a gluten-avoider, I always feel relieved when I go to a restaurant and see either creme brûlée or (my other favourite creamy dessert) Panna Cotta on the menu, as I know they have a reasonable chance of being safe to eat. I have made my white chocolate version a number of times, but this Christmas, added raspberries to make the brûlée that little bit more special. 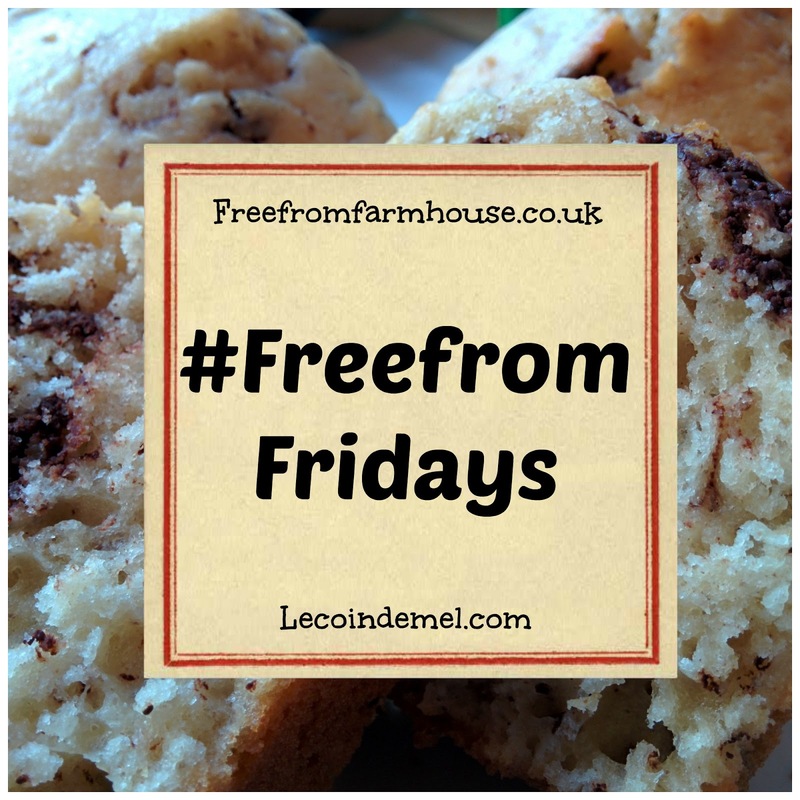 I couldn't be bothered to take any photos (being Christmas), but it was so good, I have been compelled to make it again to share with my readers. The colour and flavours are reminiscent of my wedding dessert. The pretty red fruit which are hidden within the custard like little surprise gifts, give this brûlée a romantic hue which would be perfectly served on Valentines Day too. It would also make a perfect Summer dessert...... rich and quite decadent, but not overly-heavy and full of summer berryness. With the evenings finally lightening and the prospect of warmer days ahead, this recipe may just be the perfect answer for those summer garden parties and sultry evenings out on the patio with friends. I also love that you can make the custard cream well ahead of time and keep refrigerated ready to caramelise just before devouring! Inheritance Recipes with Pebble Soup and Coffee & Vanilla This brûlée shares a little bit of our wedding with Miss GF! 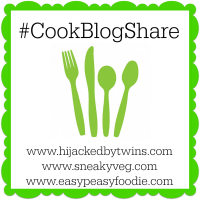 No Waste Food Challenge with Elizabeth's Kitchen Diary - Although my last Pavlova post was made to use up the egg whites left over from the brûlée, it occurs to me that I often have left over yolks too and this is a perfect recipe for using them up! 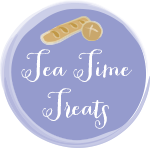 Tea Time Treats with Travels for Taste, Jo's Kitchen and Lavender & Lovage. 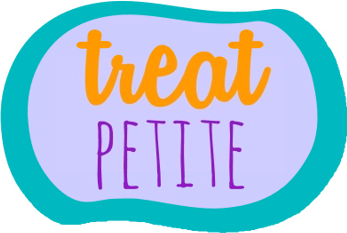 This month's theme is egg-based tea time treats. This egg-custard is full of yolky goodness! 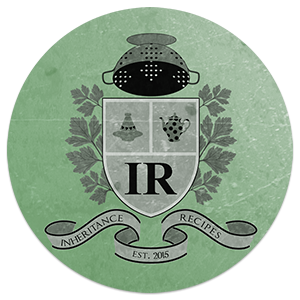 Pre-heat the oven to 180 C and get ready your ramekins. Mix the chocolate and cream together a small saucepan and gently heat, stirring, until the chocolate is completely melted and the mixture reaches simmer point. Take off the heat and set aside to cool slightly. 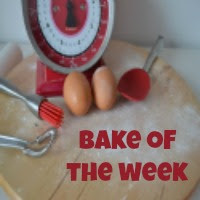 In a medium bowl, beat together the egg yolks with the sugar and vanilla extract until thick and pale. Whisking continuously, slowly add the chocolate-cream liquid until fully blended. Boil a kettle of water ready to cook the brûlée. 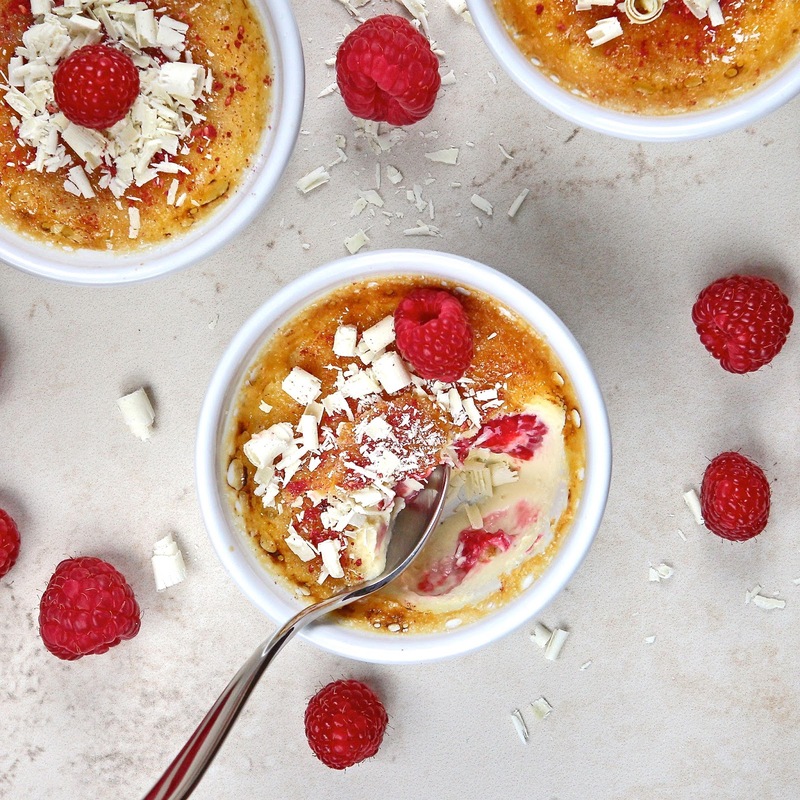 Place 3 or 4 raspberries in the bottom of each ramekin. 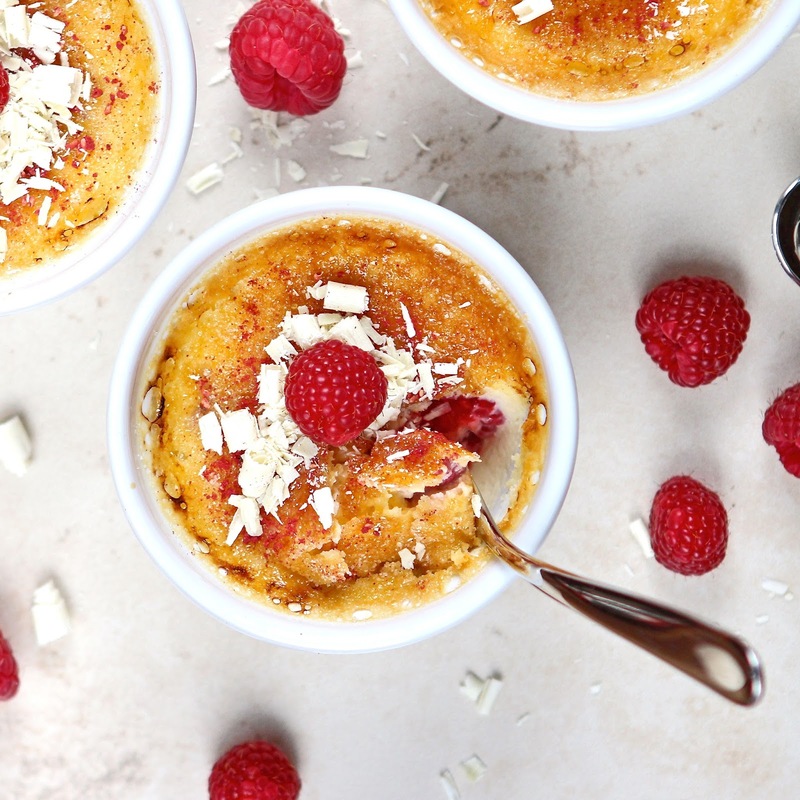 Strain the brûlée mix through a tea strainer or small sieve into the ramekins so that the liquid covers the raspberries. Place the ramekins in the base of a roasting tin and carefully pour the boiling water into the tin to surround the ramekins to about half way up the sides. Place in the oven and bake for 18 to 20 minutes until set. 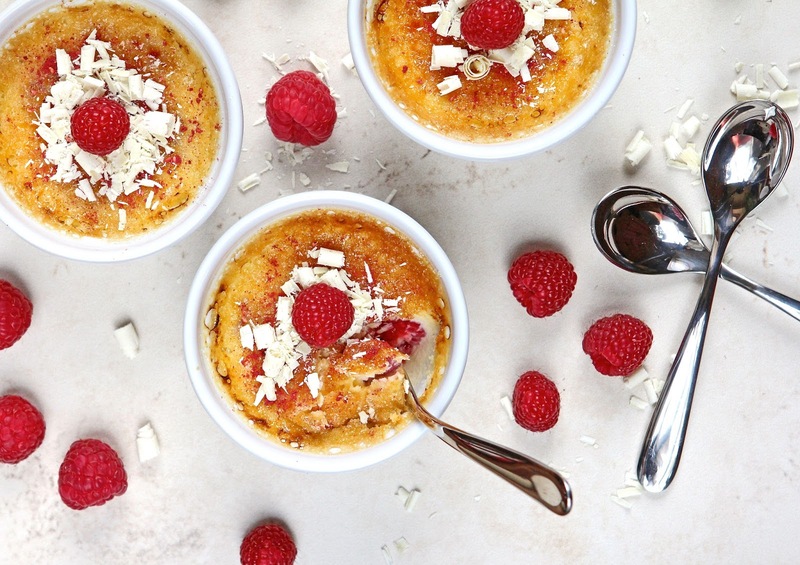 When cool, chill the brûlée until ready to eat. Just before serving, sprinkle the top with a teaspoon of caster sugar and caramelise using a culinary blow torch or under the grill. Top with a fresh raspberry and a sprinkle of grated white chocolate and serve. oh my days this looks amazing! I love the sound of the topping of a brûlée being tapped into with a spoon - the crunch as it goes into the creamy under layer of yumminess! 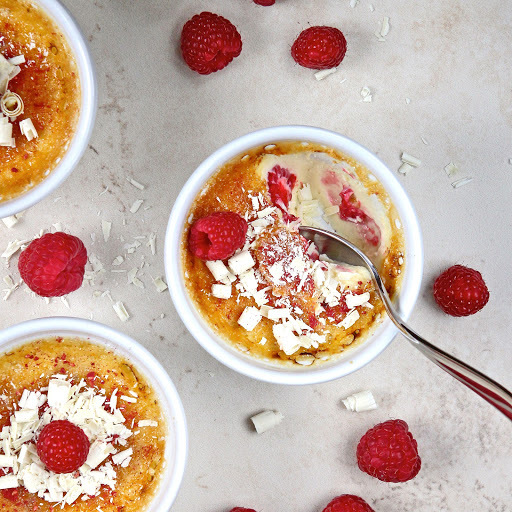 A white chocolate and raspberry brûlée sounds divine! mmmmm! Oh my goodness. I flippin' love creme brûlée! 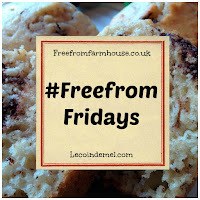 It is like torture coming to your site...sugary dairy filled delights that I can't eat! Aghhhh...get me away! This looks wonderful! 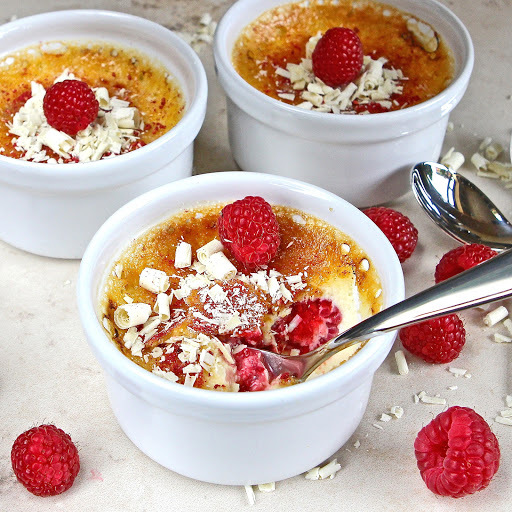 My husband loves creme brulee so this would definitely suit him and I love the fact it's got raspberries in - I am keen on desserts with fruit in! What a combination, my mouth is watering at the thought...I love creme brulée but I need this right now! Gorgeous creme brulee! Your photos are fantastic! Cant beat a good brulee. This has such a summery look to it, as I glance out on the grim dark rainy streets!